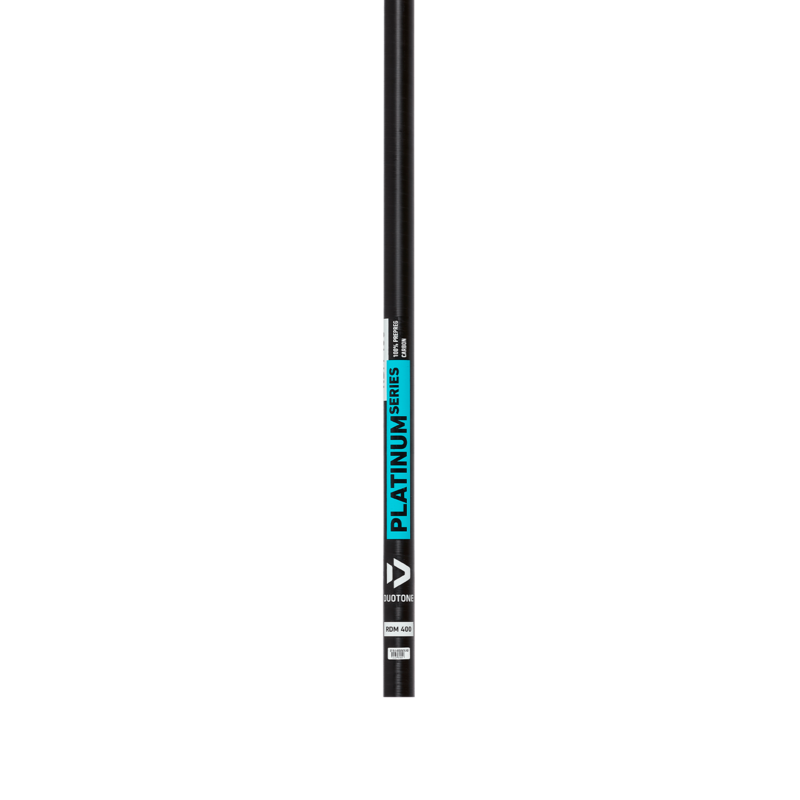 DUOTONE Platinum Aero Series 3.0 ᐅ Your ultra lightweight mast! Whether on flat water or moderate waves, the AERO 3.0 makes every rig light as a feather: ultra-lightweight, ultra-dynamic, ultra-playful. With this mast, handling, reflex, speed of reaction and performance reach an unprecedented level, embodying everything that is currently technologically conceivable. The current model boasts an optimised bend curve and improved reflex dynamics without increasing the weight of the sail. At 370 cm, the PLATINUM AERO 3.0 weighs just one kilogram, with improved flex values and a more resistant construction. The secret is the mast’s modified geometry, with a slightly increased diameter, the highest-quality construction and the revolutionary, extremely lightweight D4 SHIELD. These combine to make the PLATINUM AERO 3.0 the most exclusive high-end freestyle mast in the world.